I’m really excited to be organising this one off dance event for summer 2018! Over 2hrs of Dance … Fitsteps masterclass (containing dance styles from Fitsteps and Fitsteps FAB) and a technique class with Ian Parker! 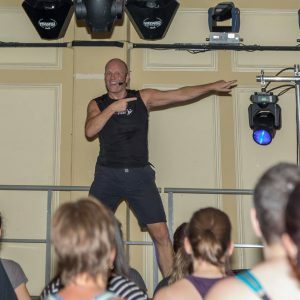 It will be a fun and jam packed dance masterclass covering all dances from ‘Strictly Come Dancing’ and much more with the fantastic Ian Parker(Parkes)!